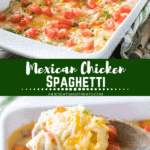 Quick and Easy Mexican Chicken Spaghetti is perfect for a busy weeknight dinner idea! It has chicken, spaghetti and cheese. 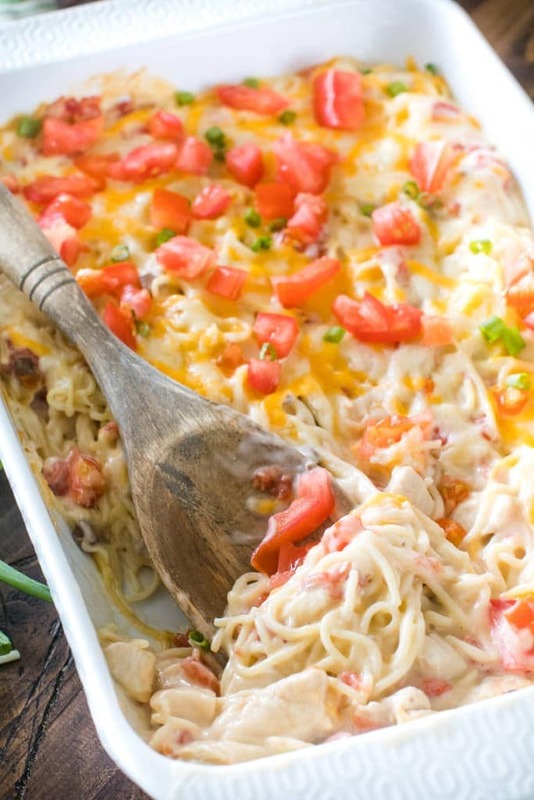 This Mexican Chicken Casserole is creamy, delicious and loaded with spice! What a great casserole recipe that’s a family favorite! Wowzers! If you are looking for a recipe with a little bit of kick this definitely has it in loads! 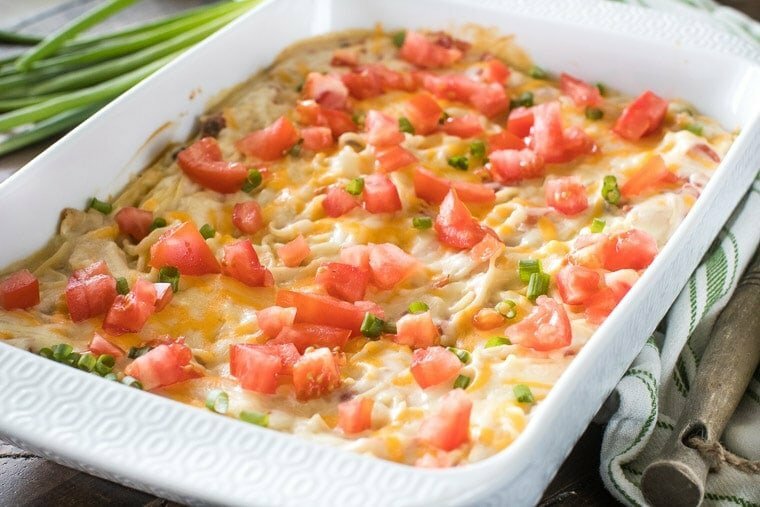 This Mexican Chicken Casserole has a kick from the Rotel diced tomatoes. Don’t worry, it won’t make your upper lip bead with sweat, but it provides some bang when you want it! Now, I use the regular Rotel, but if you want to kick up the heat a level go for the HOT Rotel! This is the second time I’ve made this recipe actually. The first time I completely forgot to get a picture of it so I just couldn’t post it without a picture now could I? That was ok because I got to make it again and enjoy another meal of it. This is not for the faint of heart or for faint taste buds, but it’s a little bit of a twist on your usually same old casseroles that’s for sure! Plus, I made it after work and it was easy and fast, which is what I look for these days that’s for sure! Trying to work, keep a halfway decently clean house, make supper, do laundry, take care of a baby sure keeps me busy. Kudos to all you moms out there. I now fully understand why you are stressed most of the time!! How do you make chicken spaghetti with Rotel? Mix all other ingredients, except the shredded cheese, add to cooked pasta. Put in a 9×13 baking dish. Cover with foil and bake for 30 minutes or until hot and bubbly. Sprinkle with cheese and return to oven until melted, bubbly and golden brown! Watch me make this Overnight French Toast Casserole below! See how easy this is to make? Just a handful of ingredients but it packs a ton of flavor! Now, like I said before I’m Midwestern, aka from Minnesota. Around these parts we call casseroles “Hot Dishes”. Do you know what a Hot Dish is? Essentially it’s just a casserole, but after I started to blog I had to retrain myself to call a Hot Dish a casserole. It was tricky, but now I’m finally there for the most part but it still sounds a little foreign coming out of my mouth. Now, you can totally call this Mexican Chicken Hot Dish or Mexican Chicken Casserole. I will know what you mean either way! 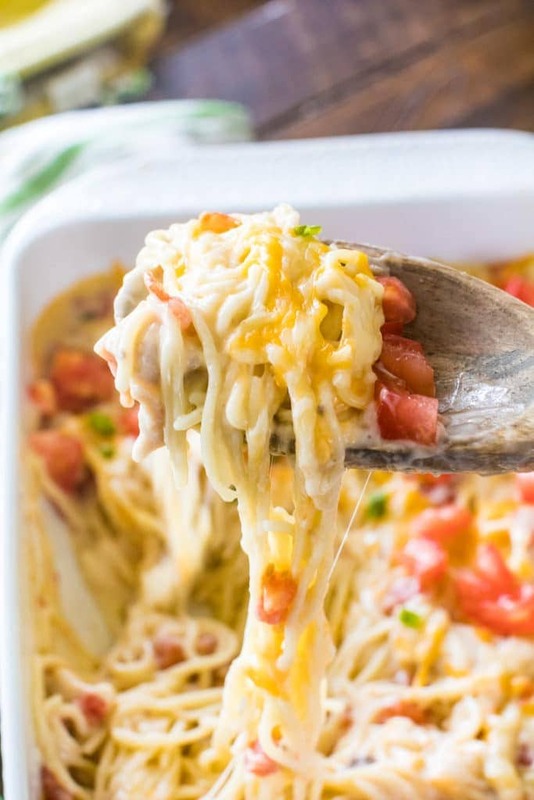 Can you freeze Mexican Chicken Casserole? You bet! This dish can be made ahead and frozen. Leftovers taste even better on day two! I love a great meal that offers so much flavor, but is easy and affordable. This is a great pantry meal! Print off this recipe and tape it on the fridge. Next time you buy a rotisserie chicken, this is the perfect meal to make with the leftovers! More delicious casseroles you and your family will love! 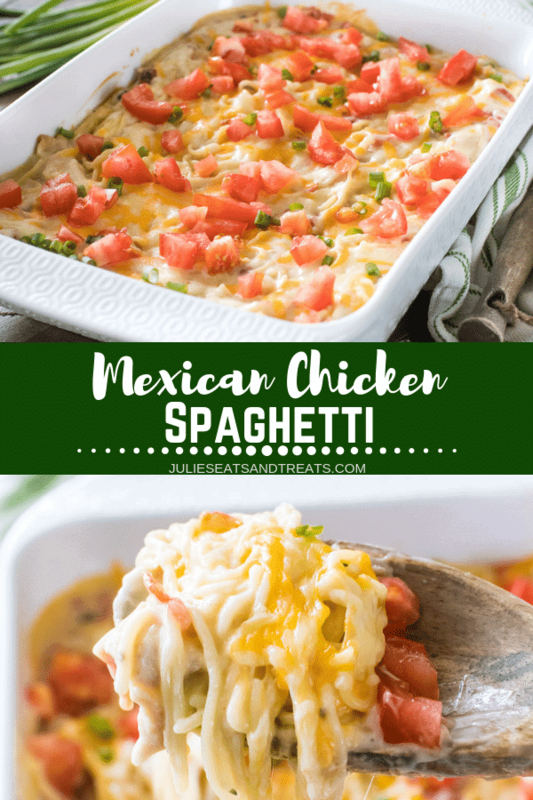 Be sure to try this easy tasty Mexican Chicken Spaghetti Recipe, I know it will be a new family favorite, cheesy spaghetti deliciousness! 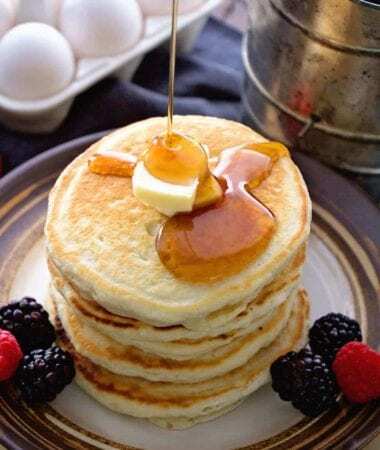 Enjoy and please leave a five-star comment, I’d love to hear how your family enjoyed this recipe! Quick and Easy Casserole for a busy weeknight dinner idea! 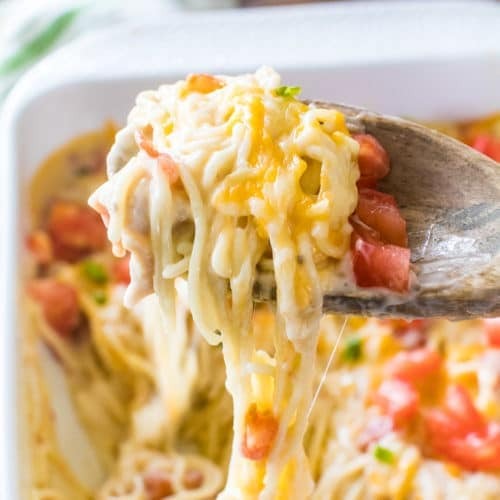 This Mexican Chicken Spaghetti is creamy, delicious and loaded with spice! It has chicken, spaghetti and cheese. What a great casserole recipe that's a family favorite! Boil pasta according to package directions and drain. Mix all other ingredients, except cheese, add to cooked pasta. Put in a 9×13 baking dish. Cover with foil and bake for 30 minutes or until hot and bubbly. Sprinkle with cheese and return to oven until melted. Do you freeze the casserole before cooking, if I need it for a later date.? What portion size are the calories based on? After I got it all mixed up I cooked me a little plate in the microwave. It was just ok and every bite was the same so I added chopped red and green bell peppers and onion, sautéed until tender; chili powder and cumin. It was better but still not great. Sorry, but I think a chicken died for this? Hmmm well in my opinion when I eat any recipe I expect the entire thing to taste the same so I’m not sure that’s a complaint, but yes all of those extra additions would add more flavor. It’s really a preference for each person.